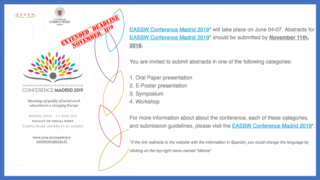 The deadline for abstract’s submission was extended until November 11th 2018!! Don’t miss the date!! See you in Madrid between June 4th-7th 2019! !